Here’s my beautiful family! 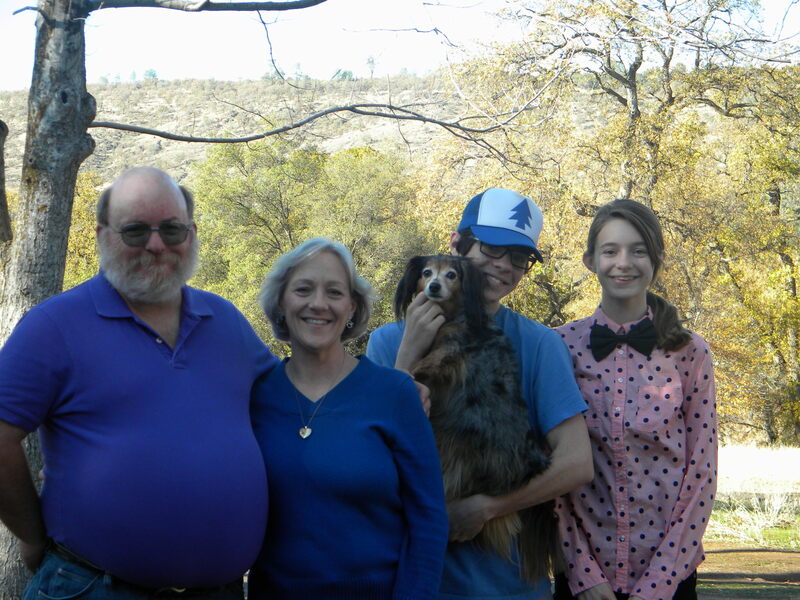 George, my husband, Josh, our son, Grace, our daughter and Brownie, our awesome little dog. Happy Thanksgiving everyone! Posted on November 28, 2013, in My Thoughts and tagged art, family, writing. Bookmark the permalink. 14 Comments. Look at those beautiful babies!!! Congrats on the gorgeous family! Lots of love to you and the whole family! Thanks, Michelle. I was glad to do so. Hope your Thanksgiving was nice. Ours was. Just cooking, eating and watching “A Christmas Story” for the millionth time! 😉 It’s always fun, though. Thank you. We had a nice one! Hope you had a wonderful Thanksgiving also!